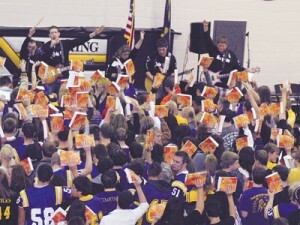 THE NATHAN PROJECT – "Leave your imprint." We often underestimate the power of God’s word and its ability to dramatically change lives. With your help, the Nathan Project is literally sharing God’s word by placing Bibles in youth groups, youth correctional facilities and anywhere that God leads. We have witnessed individuals who faced significant struggles in their life and were then transformed with the hope that only Jesus can provide. Thank you for being faithful to help spread the love and joy of Christ. Our children are facing a much different world today than the one we grew up in. Bad choices are available all too frequently. The “thief” knows their vulnerabilities and bad choices are often reinforced by the world’s message. Introducing Jesus and the Word of God to the next generation is vitally important. Only through Jesus can we have the “Abundant Life” that God desires. The Nathan Project exists to help our youth find their “Abundant Life” through the love of Jesus. Your prayers and financial support make this possible. Thank You. With your help, over 25,000 Bibles have been distributed including approximately 5,000 that went to more than 25 correctional facilities in Kansas, Colorado, Iowa, and Missouri. Our next order will be placed in the next few months with delivery sometime next year. We hope to order over 4,000 Bibles, the biggest order so far. Please be in prayer for God’s guidance in our ministry and His protection of our vulnerable children. Nathan Stiles was playing the game of his life. 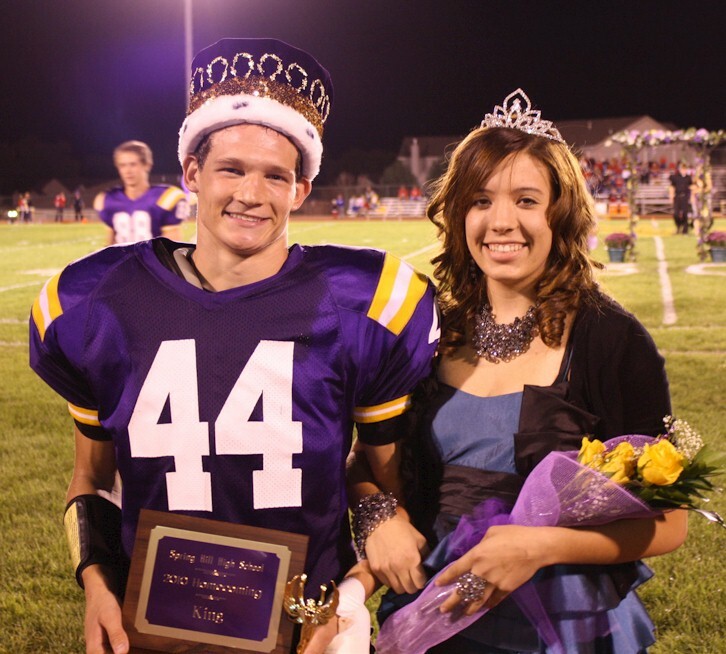 A senior running back for Spring Hill, Kansas, High School, Nathan was elected one of the team captains but was injured in practice and forced to spend much of the season rooting from the sidelines. His enthusiasm for his team and the game never wavered, and he returned for the Homecoming game where he was crowned king. A concussion during that game again sent him to the sidelines, but on October 28 he was back and playing against Osawatomie High School. Nathan scored two times and gained over 100 yards before halftime. Then, shortly after scoring his second touchdown, Nathan came to the sidelines in pain and collapsed. He was unconscious. Nathan was LifeFlighted to the University of Kansas Medical Center. The emergency room area was soon full of friends and family gathered to support Nathan by their presence and their prayers. They kept vigil into the early hours of the next morning. Doctors tried everything to help him, but in spite of every effort, just four days prior to his 18th birthday, Nathan died. It seemed beyond understanding that so promising a young man could die this way. A standout athlete, a 4.0 student and a leader in his church youth group, Nathan also sang in a band, in high school madrigals, and in the church choir. However, his accomplishments were overshadowed by the love he brought to everyone who knew him. So many people not only from his community but also from the opposing team’s community and the entire Kansas City area were touched by his life — and torn by his death. When Ron and Connie Stiles returned to the home that had just 12 hours earlier been filled with their son’s beautiful singing voice, they faced the emptiness with every conceivable emotion. They found themselves retracing their son’s steps. In the basement, Ron and Connie found Nathan’s Bible lying where he read it each day. They noticed Nathan’s imprint on the couch where he sat. They realized that earlier that day, like every other day, Nathan had been in the Word. Nathan had taken seriously a challenge to read the Bible. It occurred to them that this special time alone with God’s Word had helped shape Nathan into the young man he was. Just as he had left his imprint on the couch, God’s Word had made an imprint on his life, and he, in turn, had made an imprint on so many others. This daily time in the Word was where God blessed him and prepared him for his calling in life and in death. It made him who he was and provided an opportunity for his death to be used for new life. His parents knew what they must do next — let Nathan’s life and relationship with God speak through “The Nathan Project”. “The Nathan Project” is actually the same challenge that Nathan took — to read the Bible daily for a year and meet in a group to talk about it. Awakening playing at The Celebration of Life for Nathan.